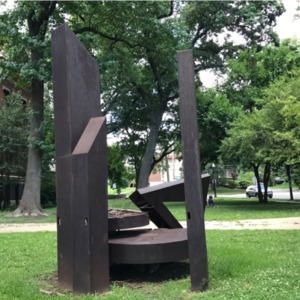 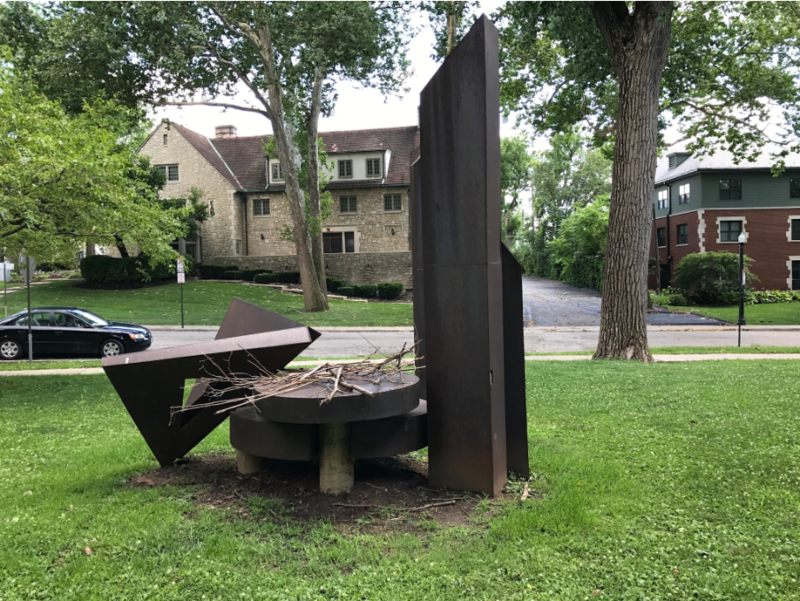 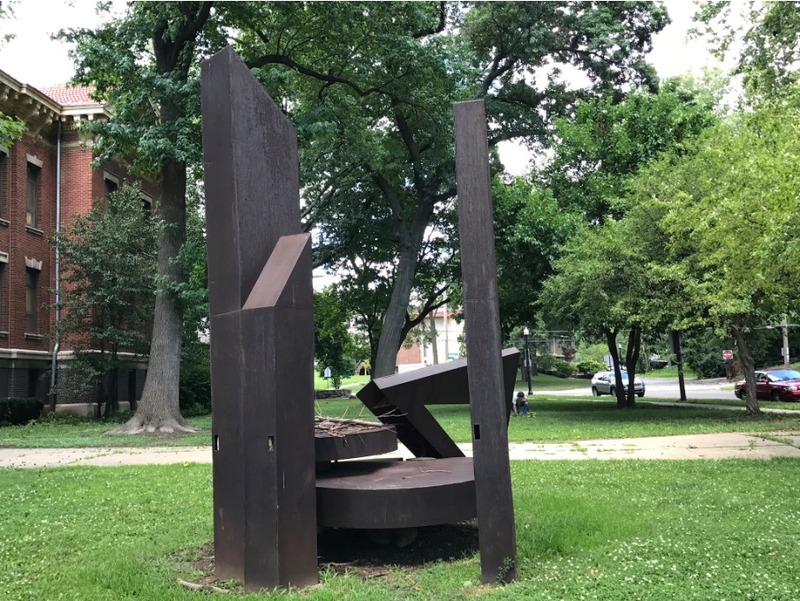 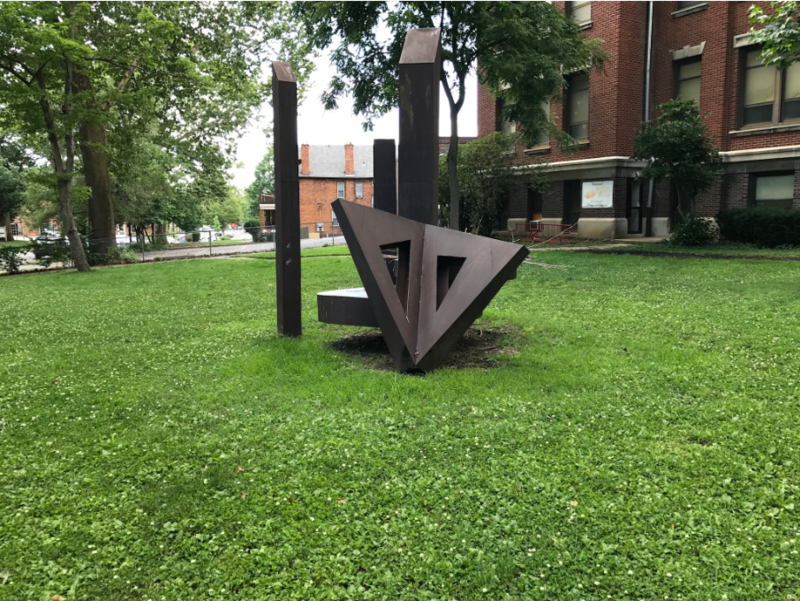 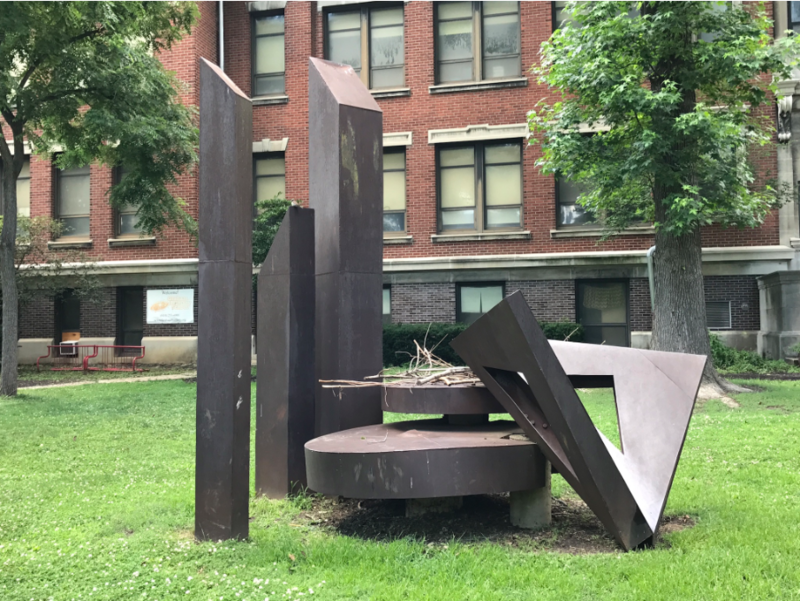 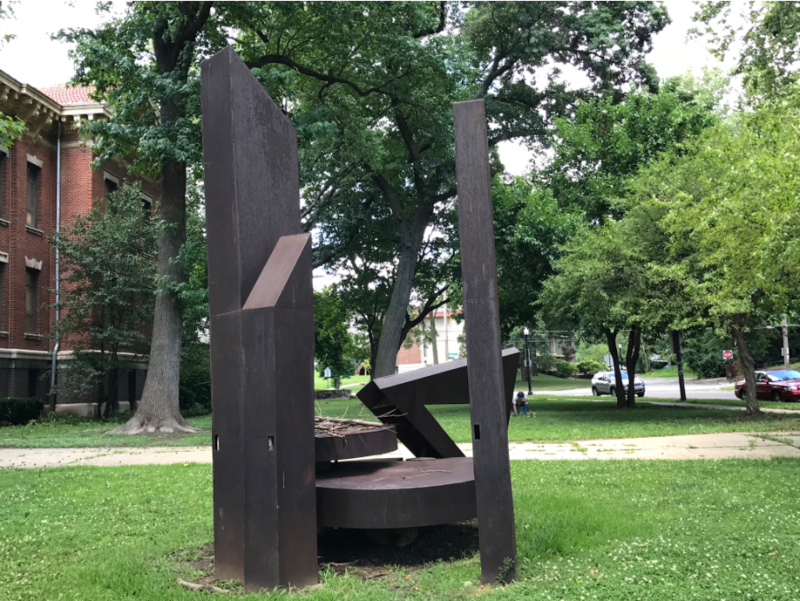 Abstract metal sculpture made of two triangles welded together along one side to suggest the form of a butterfly that rest on another circular metal piece. 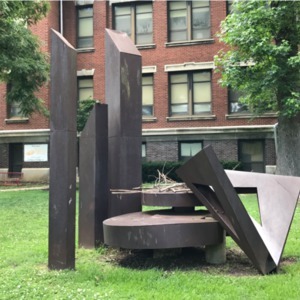 Three metal columns flank the butterfly. 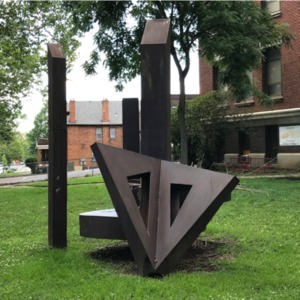 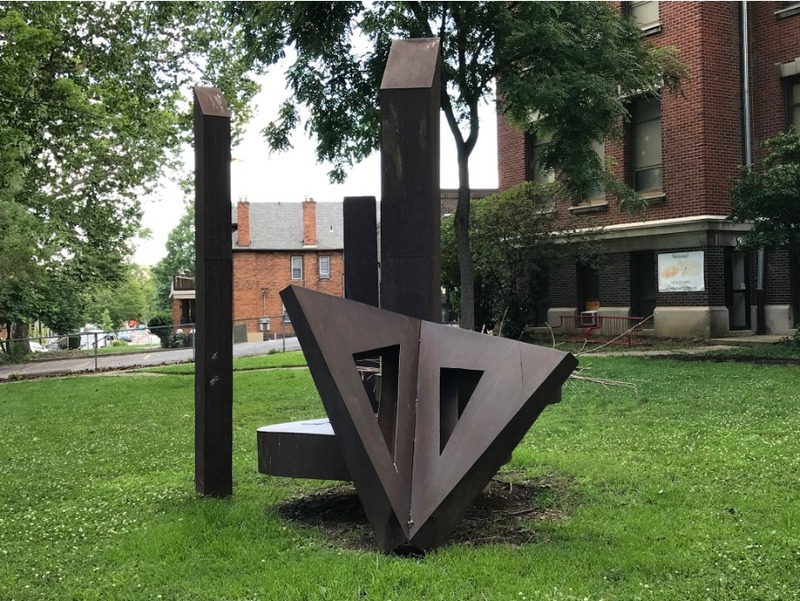 : D'Lyn Stinziano, “Butterfly Sculpture,” Ohio Outdoor Sculpture Inventory, accessed April 18, 2019, http://oosi.sculpturecenter.org/items/show/1481.